Savon de Marseille French Soap products reflect traditional French soap crafting, using only natural vegetable oils. 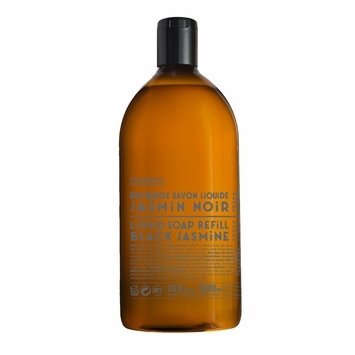 This liquid soap, available in a wonderful array of fragrances, is amazing and shows that some things just don't need to change. Savon de Marseille liquid soap is colorant free, hypo-allergenic, anti-bacterial and mildly antiseptic. Whether you were introduced to it when you were in France or happened upon it, you are one of the lucky ones. You feel the difference of quality with this soap. Just perfect! We offered Savon de Marseille in glass or plastic bottles, and plastic refill bottles. 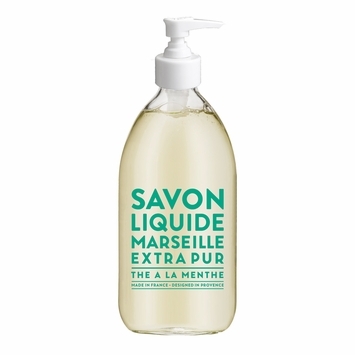 Treat your hands to the famous Savon de Marseille Liquid Hand Soap.